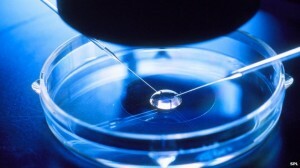 Possible IVF cuts in Wiltshire? Wiltshire is the latest Clinical Commissioning Group to be considering cutting their provision of fertility services – and sadly one of their reasons for doing so appears to be because other Clinical Commissioning Groups have taken the decision to do so. A spokesperson for Wiltshire told the BBC that they needed to reduce treatments to match what was happening in neighbouring areas where commissioners were offering fewer cycles. Wiltshire is facing financial problems with a predicted overspend of more than two million pounds – but cutting IVF will make a minuscule reduction in this overspend and may actually end up costing more money in the future if the potential cost of multiple pregnancies from couples who end up going overseas for treatment are taken into consideration. This entry was posted in IVF and tagged infertility, IVF, NHS funding for IVF, Wiltshire, Wiltshire Clinical Commissioning Group by fertilitymatters. Bookmark the permalink.